My Generator customer, Tom from Mooroolbark, VIC provides a video review of their Dometic WAECO CoolMatic CRX110 Fridge & Freezer. The new CRX range has slightly improved performance, compared to the old models, including; greater temperature control, reduced noise, and better energy efficiency. 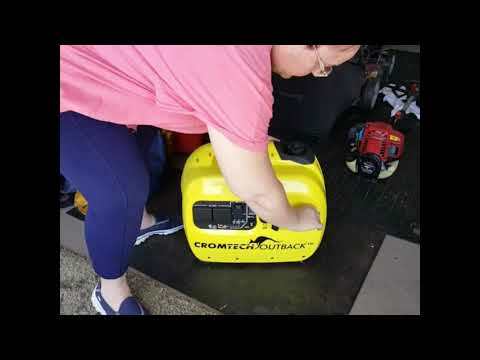 My Generator customer, Joe from Somerville, WA provides a video review of their Cromtech Outback 2400 Watt Portable Inverter Petrol Generator. The Cromtech generator is a super quiet, compact unit ideal for camping, caravanning and home backup power use. 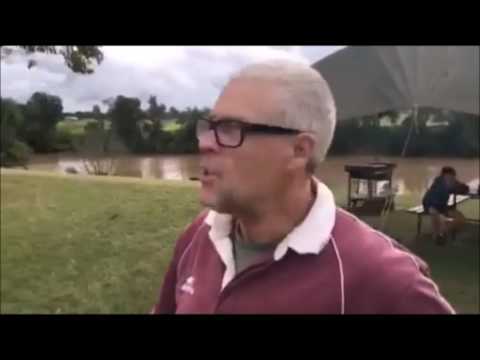 My Generator customer, John from Raymond Terrace, NSW provides a video review of their Evakool TMX Travelmate 65 Litre Fridge Freezer Pack. TravelMate fridge/freezers are reliable and user friendly, they are a great companion for all your boating, four wheel driving and camping adventures. 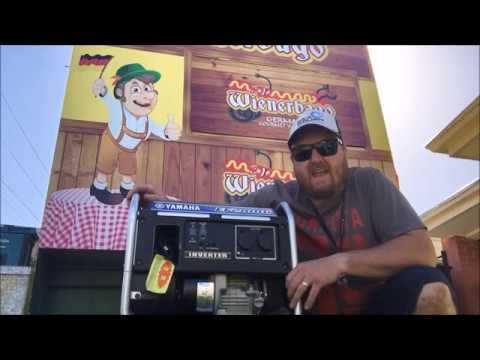 My Generator customer, Chris from Sturt in South Australia provides a review of his Yamaha EF2800I Inverter Generator. This generator is very popular as a 'multi-use' unit: it can be a terrific portable power option for recreational use, mobile businesses, home backup, weekenders, small commercial applications and events. 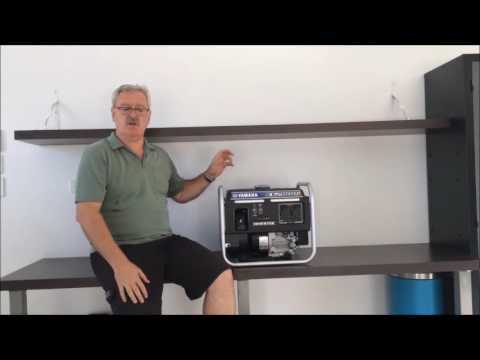 My Generator customer; Mark from Noosaville, QLD provides a video review of the Yamaha 2800w inverter generator. The Yamaha EF2800iS model is extremely popular among the caravanning community, 4WD enthusiasts and campers alike. Also popular for backup power to home appliances. 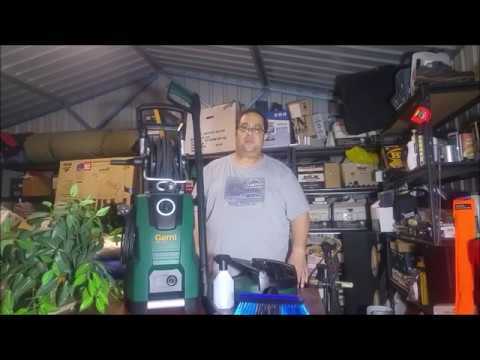 My Generator customer, Donovan from Canning Vale WA provides a video review of their Gerni Super 140 Plus 2030psi Pressure Washer. The powerful Gerni Super 140.3 Plus electric high pressure washer is the ultimate cleaning machine for all your Home & Garden and Vehicle washing needs. 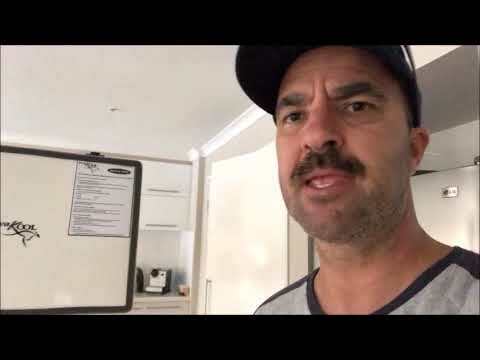 My Generator customer, Lucio from Wangaratta South, VIC provides a video review of their Dometic WAECO CoolMatic CRX140 Fridge & Freezer 135L. The well-proven Dometic WAECO CoolMatic refrigerator series provide outstanding energy efficient refrigeration for built-in mobile applications. 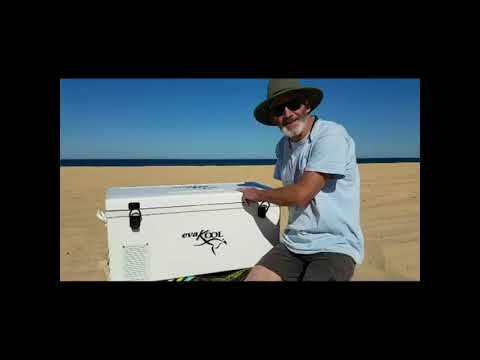 My Generator customer, Peter from Karratha, WA provides a video review of their Dometic Waeco CI 110 111L Cool-Ice Icebox. Cool-Ice rotomoulded iceboxes are lightweight, easy to handle and are absolutely the best looking, best built and best value for money rotomoulded iceboxes available. 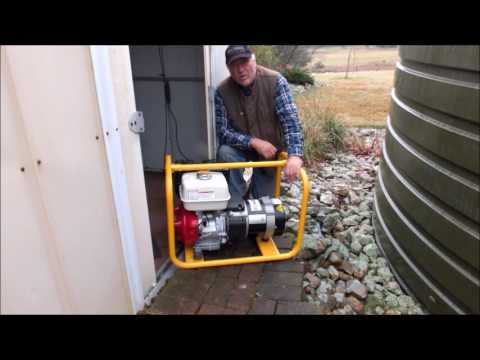 My Generator customer, Graham from Hampton NSW provides a video review of their Powerlite 8kVA Honda Generator. Built and tested by Australia's leading manufacturer of portable trade generator sets; Powerlite. This unit is packed with rugged features to deliver dependable power that meets your trade needs. My Generator customer, Paul from Burleigh Heads in Queensland provides a review of his Dometic Waeco CFX40 Fridge/Freezer. The CFX40W comes with a basket, features a dairy compartment for perishables and can fit 60 cans and up to a standard Riesling bottle upright. 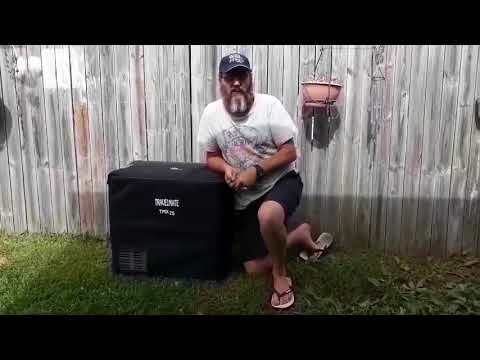 My Generator customer, Michael from Penshurst NSW provides a video review of their Dometic MF15, 14 Litre MyFridge Mini Refrigerator/Cooler. The lightweight and compact design will be sure to please, weighing in at only 5.9 kg. This is the perfect cooler for office or home office use. 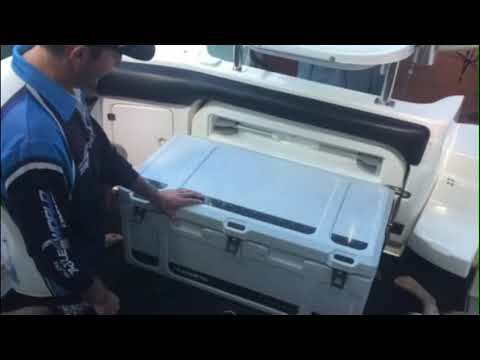 My Generator customer, Brian from Neutral Bay, NSW provides a video review of their Dometic Waeco CoolMatic 30 Litre Compressor Drawer Fridge. This smart Drawer Fridge turns unused nooks and crannies into a practical cold store with a capacity of 30 litres. 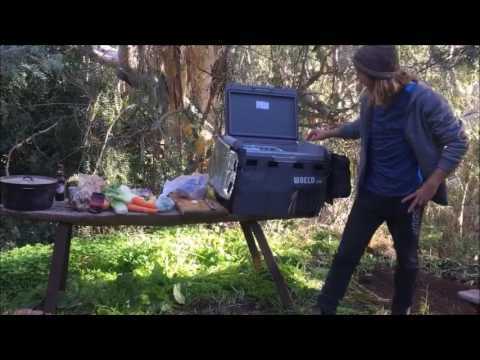 My Generator customer, Elyse from Glenunga SA provides a video review of their Dometic Waeco CFX-50W, 50 litre portable fridge. The Dometic CFX-50 is an efficient and robust portable compressor single zone fridge or freezer designed to keep your food and drink fresher for longer. Take it with you in the caravan, camping or on the boat. 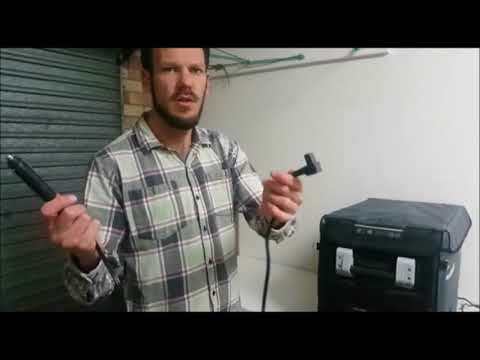 My Generator customer, Graeme from Glen Innes, NSW provides a video review of their Yamaha 1000w Inverter Generator. The three main reasons for this unit’s huge popularity are as follows: 1. The generator is light - a mere 12.7kg! 2. Its super silent operation is unbeatable. 3. Yamaha the brand. 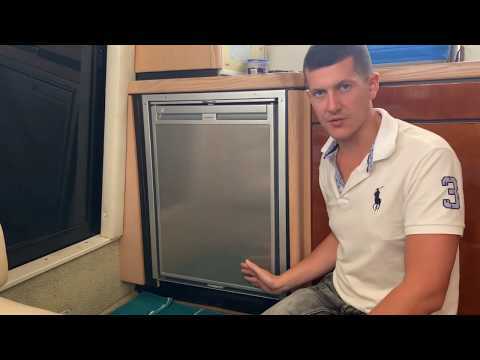 My Generator customer, Darryl from Edmonton QLD provides a video review of their Dometic 3 Way UES Fridge & Freezer 95L. The Dometic RM2356 is a 95 ltr 3 way refrigerator which runs on 12 volts, 240 volts and gas. It has a new Universal Energy Selection model: Switchable to either Manual (MES) or Automatic (AES) function. 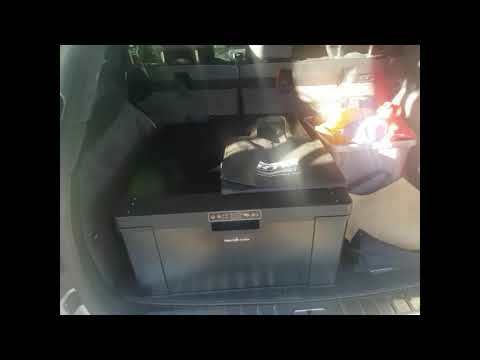 My Generator customer, Mrs Klessens from Mount Pleasant, WA provides a video review of their Evakool 40 Litre Drawer Fridge/Freezer. With the unique innovative drawer system - this new product alleviates the requirement for a fridge slide. Just store all of your products in the drawer & slide out the draw when you need them. My Generator customer, Maureen from Hamlyn Terrace, NSW provides a video review of their Camec Compact 4kg RV Washing Machine. With a large 4Kg capacity for its overall size, you can now enjoy all of the features and wash modes you are accustomed to with your home machine right in your RV. 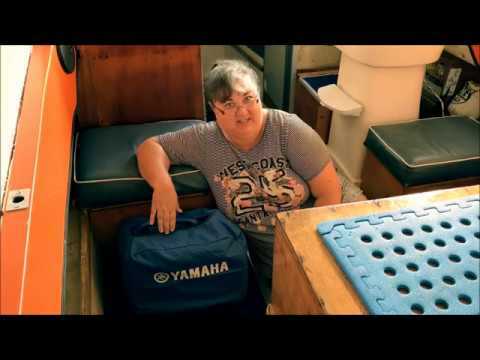 My Generator customer, Sharon from Brendale QLD provides a video review of their Yamaha EF1000IS Inverter Generator. The 1000W inverter model is extremely popular among the caravanning community, 4WD enthusiasts and campers alike. This is the lightest 1000W portable generator you can buy, making it especially convenient to pack and unpack on your holiday. 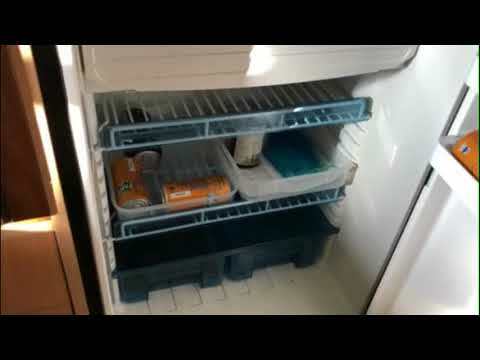 My Generator customer, Brett from Caboolture, QLD provides a video review of their Evakool TMX Travelmate 80 Litre Fridge Freezer Pack. Travelmate incorporates the world renowned Danfoss compressor technology and a highly efficient rollbond evaporator that offers low power draw, quiet and efficient operation and trouble free enjoyment. 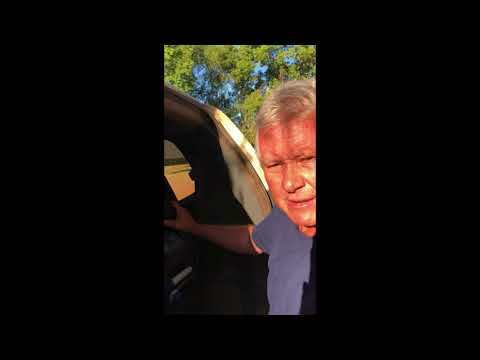 My Generator customer, Murray from Marian, QLD provides a video review of their Cromtech 2400w Inveter Generator. This product comes with 2 x 15 amp outlets, USB charging outlets and 12 volts DC charging. It also comes with a free dust cover to protect your unit when in storage. 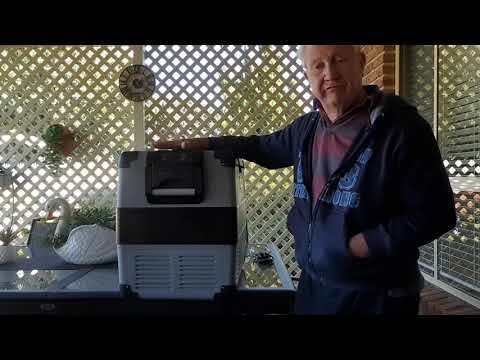 My Generator customer, Peter from Charter Towers, QLD provides a video review of their Dometic Harrier Inverter Rooftop Air Conditioner. The Dometic Harrier Inverter has a variable speed compressor that is extremely quiet and has a powerful 3.1 kW cooling capacity making it the most powerful in it’s class. 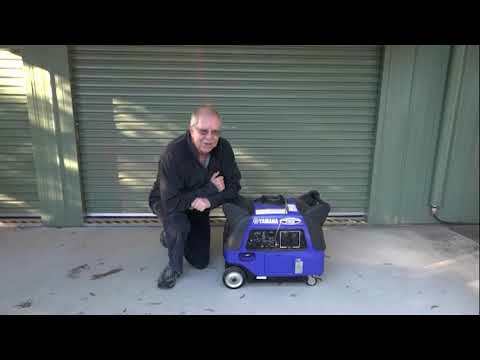 My Generator customer, Brent from Junortoun VIC provides a video review of their Yamaha EF2400IS Inverter Generator. The EF2400IS a top of the line generator for your caravan or motor home a common choice for those wanting to run some larger appliances on the road such as air-con units, microwaves or washing machines. 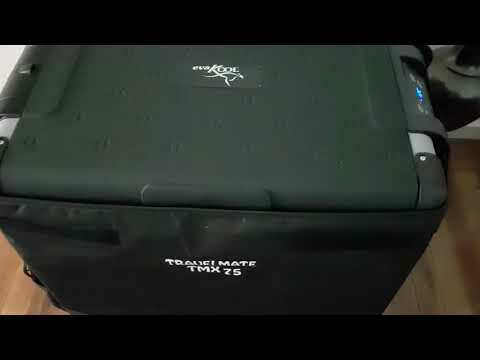 My Generator customer, Steven from Frankston North, VIC provides a video review of their Evakool TMX Travelmate 80 Litre Fridge Freezer Pack. Travelmate incorporates the world renowned Danfoss compressor technology and a highly efficient rollbond evaporator that offers low power draw, quiet and efficient operation. 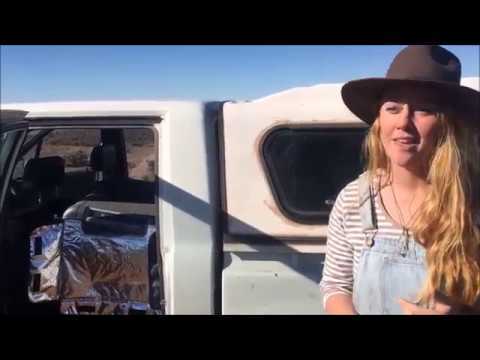 My Generator customer, Bronte from Melrose SA provides a video review of their Dometic Waeco CFX-50W, 50 litre portable fridge. The Dometic CFX-50 is an efficient and robust portable compressor single zone fridge or freezer designed to keep your food and drink fresher for longer. 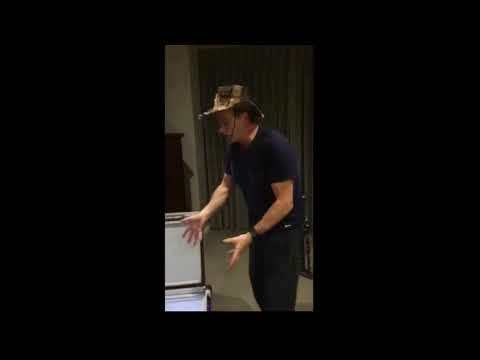 My Generator customer, Wayne from Charlestown, NSW provides a video review of their Evakool Fibreglass 65 Litre Fridge Freezer with Dairy section. Evakool offers you Australia’s most ingenious, versatile and user friendly portable 12V/24V Fridge-Freezer combination. Great for keeping Wayne's Beers cold. 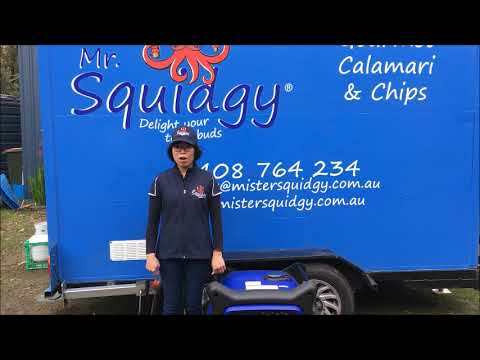 My Generator customer, Mr. Squidgy from David, VIC provides a video review of their Yamaha 6300w Inverter Generator. The largest inverter generator within the Yamaha EF6300iSE range is an impressive beast with its enormous output of 6300W. 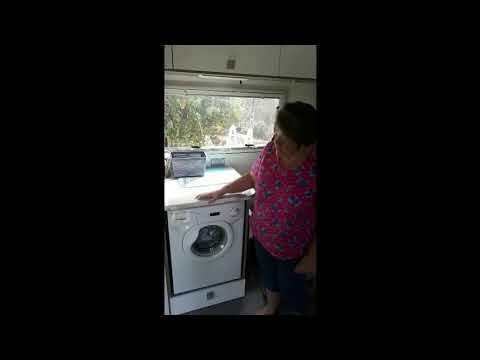 My Generator customer, Marie from Gilston, QLD provides a video review of their Camec Compact 4kg RV Washing Machine. With a large 4Kg capacity for its overall size, you can now enjoy all of the features and wash modes you are accustomed to with your home machine right in your RV. 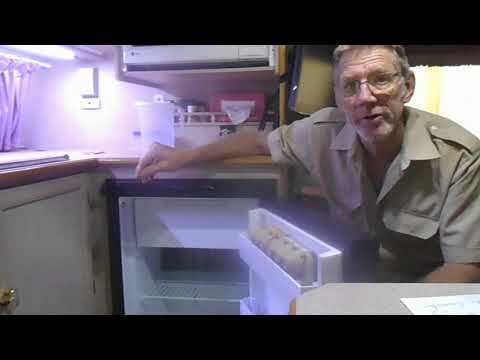 My Generator customer, David from Newmarket, QLD provides a video review of their Evakool 40 Litre Drawer Fridge/Freezer. With a DC40 Fridge/Freezer in the back of your 4 wheel drive or RV, you’ll have a compact and efficient fridge to do the job. 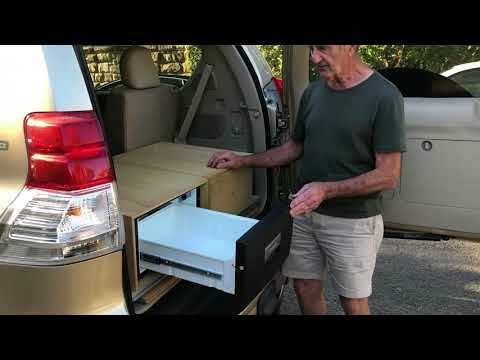 My Generator customer, Bill from Currumbin, QLD provides a video review of their Evakool TMX Travelmate 65 Litre Fridge Freezer Pack. TravelMate fridge/freezers are reliable and user friendly, they are a great companion for all your boating, four wheel driving and camping adventures. 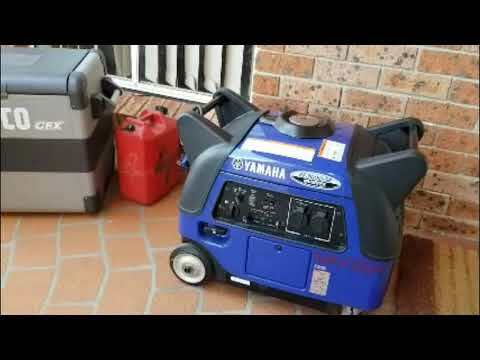 My Generator customer, Kathy from Orange, NSW provides a video review of their Yamaha 6300w Inverter Generator. This is the largest within the Yamaha EF6300iSE range. Features include: Noise block technology and inbuilt mufflers for super quiet operation; Inbuilt smart throttle maximises fuel efficiency almost 13 hours of run time. 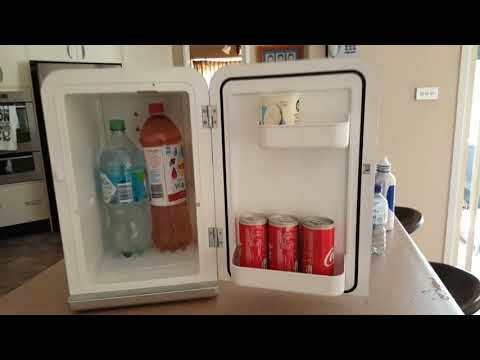 My Generator customer, Chris from Thornlands, QLD provides a video review of their Evakool Fibreglass 47 Litre Fridge Freezer. Evakool offers you Australia’s most ingenious, versatile and user friendly portable 12V/24V Fridge-Freezer combination. It also comes with a 5 year warranty. 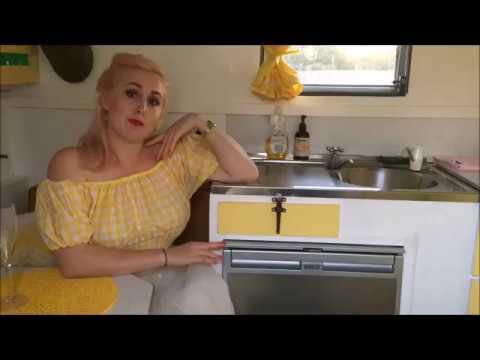 My Generator customer, Cecelia from Logan Village QLD provides a video review of their Dometic WAECO CoolMatic CRX110 Fridge & Freezer 108L. The new CRX range has slightly improved performance, compared to the old models, including; greater temperature control, reduced noise, and better energy efficiency. 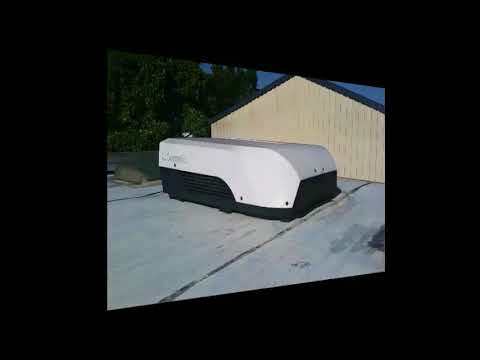 My Generator customer, Greg from Laguna, NSW provides a video review of their Yamaha 3000w Inverter Generator. The inverter system produces clean power without surges, so you can run all your favourite electronic equipment. Furthermore, this model comes with convenient built in wheels making it easy to manoeuvre around. 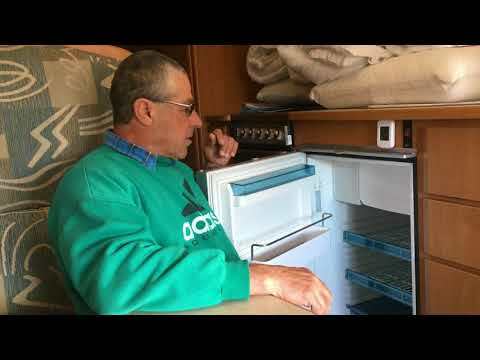 My Generator customer, Peter from Casterton, VIC provides a video review of their Dometic WAECO CoolMatic CRX110 Fridge & Freezer 108L. This fridge provides outstanding energy efficient refrigeration for built-in mobile applications. their operation is reliable even in tilted positions and high ambient temperatures. 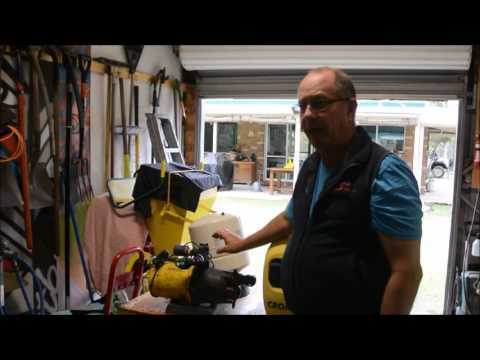 My Generator customer, Stephen from Pastoia East, VIC provides a video review of their Dometic Waeco CFX-95DZW, 95 litre portable fridge. The CFX-95 has two compartments that can each operate independently in any combination as fridges or freezers & have the ability to achieve -18°C simultaneously in up to 32°C. 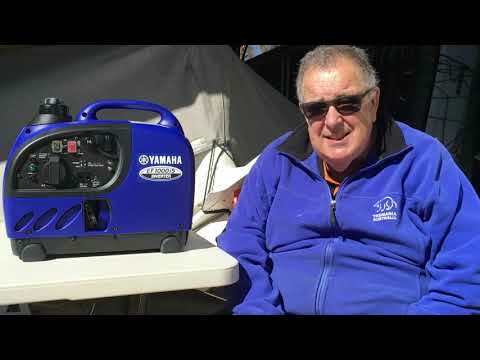 My Generator customer, Andrew from Redhead, NSW provides a video review of their Yamaha 3000w Inverter Generator. With the Yamaha EF3000iSE generator, you get the above standout features, and much more. The inverter system produces clean power without surges, so you can run all your favourite electronic equipment. 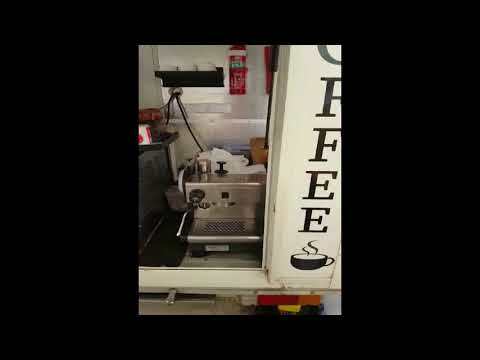 My Generator customer, Julie from Primbee NSW provides a video review of their Dometic Waeco CRX110, 108 litre compressor RV Fridge. The Dometic WAECO CRX110, CoolMatic built-in 108L refrigerator: A 2-Way Fridge-Freezer for 12 / 24 volts DC and 100-240 volts AC operation, perfect for your recreational vehicle. 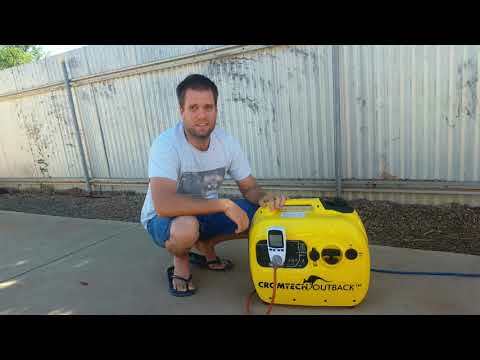 My Generator customer, Christopher from Buccan QLD provides a video review of his Cromtech 2400 Watt Inverter Generator. The Cromtech Outback 2400 watt portable inverter petrol generator, a super quiet, compact unit ideal for camping, caravanning and home use. 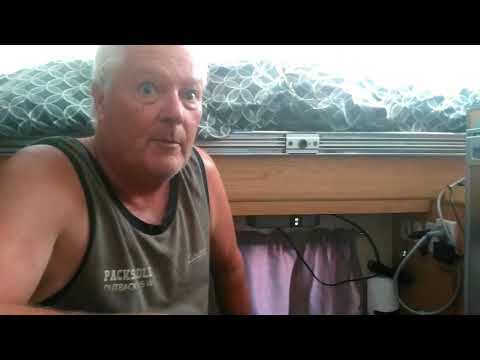 My Generator customer, Ross from Glenbrook NSW provides a video review of his Dometic Freshjet 2200 Rooftop Caravan Air Conditioner. The Dometic Freshjet roof top air conditioner range are a lighter, smaller and more efficient series of roof top RV air conditioners. "The staff and service was great. I rang and got some good advice. The ordering was simple and the generator arrived very quickly. Overall 5 stars. A real pleasure doing business with you". "I ordered a Dometic fridge for my van. The price was great and included free delivery. I was later contacted to say the model I wanted was not available at the moment, but for the same price I could get a more expensive one. When it arrived I found that it needed a permanent 12volt supply to run the electronic control. My van does not have a home battery so My Generator said I could return it at no cost to me and they would source the original model which I have just received. The service I received was exceptional as nothing was too much trouble. I would recommend My Generator to anyone". "Hi guys, my experience shopping with My Generator was excellent, very easy to navigate the site and great contact made during the delivery period. Site information, layout and ease of checkout was inviting". "My shopping experience with My Generator was excellent and a carefree transaction. Well done! Everything was worry free. Regards, George". "I can't fault the service I received, nor can I think of a single thing you could improve. Regards, Bob". "My experience shopping with My Generator was 10/10. I'm very happy with generator to date. Probably 15hrs of use, quiet and has done superbly for a great price". Hi guys, just like to thank you for your fast delivery and service, geny looks and runs good. I got out to my camp just on dark, put geny on my pad and with a press of the remote, away it went. I will recommend it to all my fellow prospectors. I give you a 5 star plus for your good fast service. A pleasure to do business with you and will tell my friends to buy from you also. Thanks again! The Yamaha EF6300iSE range is an impressive beast. Backed by Yamaha's 4 year warranty and their national service agent netowrk, this unit is very popular for food trucks, coffee carts, mobile businesses, large recreational vehicles, commercial applications, home and small business backup power, and much more. "Hi guys, just wanted to let you know how the generator is going. I bought the Pramac 6kva auto start unit 6 months ago to use as a backup power source for our 'off grid' solar system. It's works really well. I used to have to manually start up our old generator each time the batteries ran low. This mean't I had to be there to switch it off as well. I'm really happy with the auto start function that the Pramac has. This means i don't have to worry about batteries being low nor do i have to stick around the shed whilst the generator is running. Many thanks to Sean and Steve for all the help". "Got my Yamaha 2000w inverter generator yesterday guys – cheers. Have already started it up in preparation for the upcoming trip. All is good, thanks heaps for the fast delivery and great service". 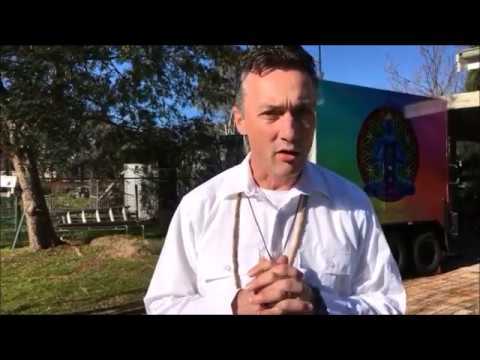 "I purchased a 2000w Inverter Generator from My Generator. I must say that the pre sales advice & expertise that I received from Sean was great. A big thank you to everyone, needless to say the 2000w unit is performing flawlessly & more than adequately meeting my requirements. Regards, John". The experience from my initial telephone conversations for advice, to purchase was outstanding. By the time I ordered the generator, three days later it was on my doorstep. I had had a very distressing experience with AGR Machinery, (Mytopia) telephone contact was almost impossible, it take 2 weeks from date of purchase to arrive and with no to little after sell service, I was very sceptical on whether I'd purchase on-line again. I would not hesitate to order from My Generator in the future. Regards, Brendon. "Got the Yamaha EF2000iS Inverter Generator from you guys for my mobile food van. So far so good. I can't believe it's quieter than my old generator which had a max output of 1000W. I've got it running my lights, cash register, TV, radio and pancake maker. Highly recommended - many thanks My Generator". "Happy to say that my Advanced Power 8kVA Generator is going great guns. She has handled everything I've thrown at her onsite over the past 6 months. Been running the radio right through to the brick saw. Cheers guys". "Thank you for your online advice and suggestions throughout the buying process. The unit powers my van for the markets just fine. I was glad to have someone take me through the steps as it wasn’t something I knew a lot about initially. Thanks again, Vic". "Hi there, just wanted to say thanks for getting us the generator we ordered in time for our camping getaway. Delivery time was fast as hoped. Can't wait to hit the open road with our caravan in tow. Thanks My Generator". "Dear Lachlan, Sean & Team, Thank you for your time on the phone today. Your honest and realistic answers helped reassure me of my decision to purchase. Best regards, John". "Thanks to the team for the great service. My Inverter Generator arrived on Monday. Everything is as promised and ready for our upcoming caravan trip. I will recommend you to other members in our Caravan Club. Cheers, Jim". "Hi guys, thank you for the follow ups: much appreciated. Generator has been running great for 3 months now. Really happy with the customer service. Thanks again, Nathan". "Hi Steve, my generator just arrived. Fantastic service. Thanks again. Cheers Paul". "Hi guys, the generator arrived today, impressive delivery & the generator looks great. Thank you, Jason". "Hi Steve, I received the Yammy on Friday - what a beauty. Thanks for all you have done. Your service and assistance was nothing less than excellent, I would recommend your company to all. Thanks again Ray". "The purchase experience with you guys was awesome, I ordered the generator the weekend before we went away and we received it Friday. Just in time. Awesome little machine. Cheers"
"Hi Steve, just writing to let you know that I really appreciate the advice you gave me. I ended up using a wattage meter (as you suggested) to get an accurate read on the starting and running wattage for my Ibis caravan airconditioner. Armed with this information I chose the Yamaha EF2400IS. From memory it arrived 2 days after I placed the order - which was great. I've been using the generator for 3 months now and it's a top machine. Many thanks for all your help, Frank". First class service! Prompt, efficient order taking and dispatch. Excellent price and fast delivery. The best thing about mygenerator though are the guys that run the business, they actually answer the phone, and will reply to your emails. I recommend that you deal with these guys, you won't be disappointed, and you'll be talking to the owners who know their stuff, and take the time to get back to you. "Received generator in super quick timeframe as promised. Excellent support and administration follow up with transport tracking. Well done to all and many thanks on a very customer friendly business." The guys at My Generator were fabulous and I cant fault there service. Funny thing was I wanted to purchase a chainsaw sharpener last Christmas to take with me to our rural property and they were out of stock. They could have told me to wait til back in stock but they helped me find another company that was able to supply immediately thus losing the sale. That has definitely won me over and my first choice will always be My Generator in the future. Thanks Guys. Your company was very efficient with the purchase and quick despatching to Kalgoorlie. They were very helpful with the delivery as we did not have an address in town and they dispatched it to the local courier company who assisted me with the package. I spoke to Steve and he reassured me of our power requirements based on the draw of our fridges. Terrific to get that kind of comfort when spending several thousand dollars. Very good experience throughout. Hi Steve, Just a quick one to let you know the Yamaha inverter generator I ordered arrived safe and sound and even a day early than expected! Your service has been excellent and is really appreciated. I’ve already referred several friends who may be looking to purchase generators in the near future to your website. Thanks again. Hi My Generator crew, just received our Yamaha EF2800i Inverter and could not be more pleased with it, the service you provided was first class and will have no problems recommending your company to other people, thanks. Hi, I got it today.Thanks a lot. Great service. If only everyone in Australia was as good as yours we would live in a lucky country. Sadly we have some crooks around. Have a nice day. Yamaha EF2000iS Happy price, great service. Extras as advertised (Cover & Security cable). Warranty. Good to talk to...friendly advice, real people not just a faceless website. Arrived within 20 hrs unbelievably fast (friendly TNT rep)...Oil/fuel up...started first go. Super quiet. I mean super quiet. No regrets paying for a quality product. My Generator will get my word of mouth. Well done! Just a quick note to let you know how pleased we are with the Yamaha generator that we bought from you. It has kept Linda alive a few times when we have had blackouts as Linda is on oxygen 24/7. We contacted a friend Matt, in Rockhampton, today and let him know about your company as he has been having power outages up there after a storm. We wish you and your company a very happy Christmas and a successful 2016. I was pleasantly surprised at the speed at which we received our generator and even more impressed at steve following up to ensure we received it. Wonderful service indeed. Thanks a lot steve. Extremely good service. The generator arrived today – less than 4 days – fast, efficient, no fuss service. Ordered a 12 volt fridge from My Generator, cannot speak highly enough of the customer service we received. Fridge was ordered on a Friday, came from WA to SA, delivered on the Monday. Sean, who assisted us was very helpful, answering several questions and sending us info via email before our purchase. Well done My Generator! Thanks for the great service...I ordered my Waeco car fridge on Friday morning from Sydney and it arrived in Airlie Beach on Tuesday morning. Excellent service all at half price of the same fridge here. I ordered a Dometic fridge for my van. The price was great and included free delivery. I was later contacted to say the model I wanted had sold out, but for the same price I could get a more expensive one. The service I received was exceptional as nothing was too much trouble. I would recommend My Generator to anyone. My goods arrived this morning via TNT. Exceptional service and a pleasure to do business with you. Many Thanks, Bill Hayne. Just wanted to say a huge thankyou, for not only great prices, but great customer service and fast delivery. We ordered a Dometic caravan fridge Monday morning and it arrived at our front door Wednesday morning. To a little country town 3 hours south of Perth. Well done to your team, top service start to finish. Wooooww! U guys are on the ball ! Ordered Sunday evening. Delivered Tuesday midday !! Hi I just wanted to let you know how impressed I am with the speedy delivery and Quick reply back from my emails. I will be using this company a lot more in the future I will be sure to pass all information on regarding My Generator !!!!! Hi. I would just like to thank you very much for your prompt service. The fridge has been installed and it is already cold so we can stock it. The truck driver was extremely obliging and delivered the fridge to our site without any problems. (Nice guy). Always a pleasure this end. You always seem to accommodate my phaffing about, and Im a genuine satisfied Repeat Customer...Thanks to Paul.